As a trail runner, the Adidas Terrex range has been grabbing my attention for some time now. Last spring/summer I purchased my first pair of Terrex Agravic trail running shoes and within only a couple of muddy off-road forest runs, I was convinced of their capabilities. With this in mind, I was looking forward to testing the new Climaheat Jacket from the Terrex range. As I expected, I was not disappointed. 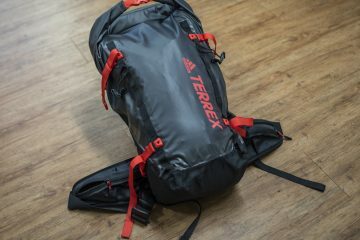 As a keen bike-packer, hiker and mountain marathon runner I am always on the lookout for lightweight, functional gear. This is a market that I wouldn’t normally associate with Adidas, but after testing this jacket, any niche brand prejudice I used to have has gone out the window. The Terrex Climaheat Jacket is simply one of the most feature-rich and well thought out down jackets that I have ever worn. It is bursting with impressive features, some of which I have not seen in a jacket like this before. For its weight (499g – size large) the warmth is instantly noticeable, coming from 800 fill power HyperDRY hydrophobic-treated down. Pulling on this jacket while setting up a bivvy camp on a chilly Irish mountainside was an enormous treat. The jacket has certainly been deigned with extreme conditions in mind. The cuffs have an elasticated inner sleeve that seals the arm from wind (or snow). A similar feature can also be found around the inner section of the hood and neck, where a stretchy section of material forms a double seal, stopping wind from blowing down your neck. These features, plus the hem and hood drawcords, trap heat in making the jacket even warmer in harsh conditions. The jacket packs into its own inner pocket, forming a neat 30cmx12cm package that doubles perfectly as a travel pillow. 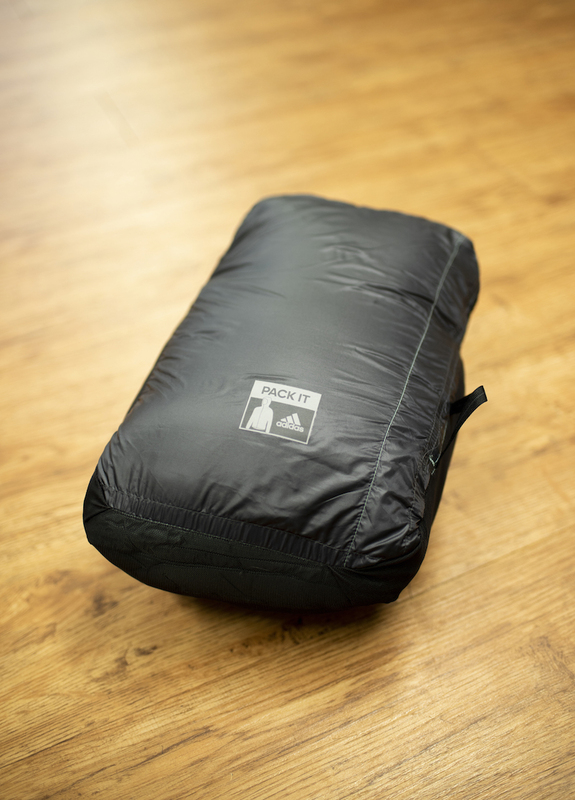 It was a size that I found fitted easily into my rucksack and, although I have jackets that pack smaller, they don’t offer anywhere near the same heat. 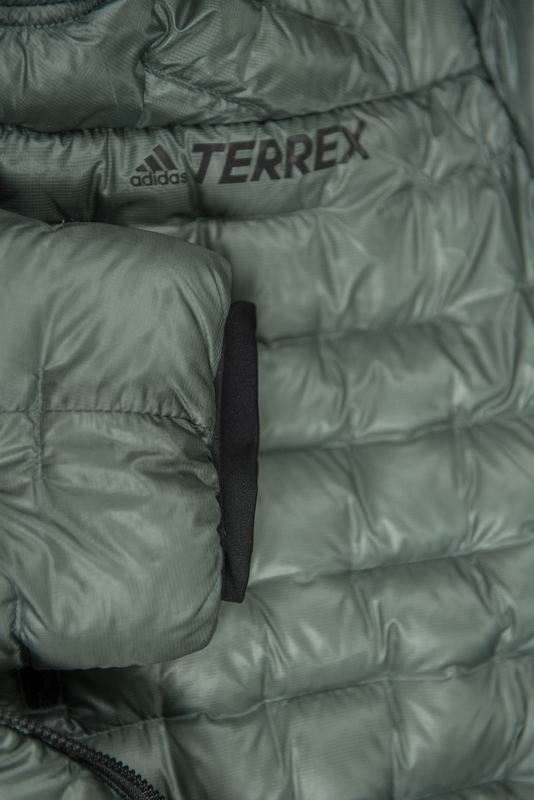 Adidas has used Pertex Quantum® GL for the outer material of the Climaheat, which is marketed to offer the best strength-to-weight ratio. There is no doubt that the material is light, but unfortunately my test jacket picked up a small slice in the outer material during my trip. 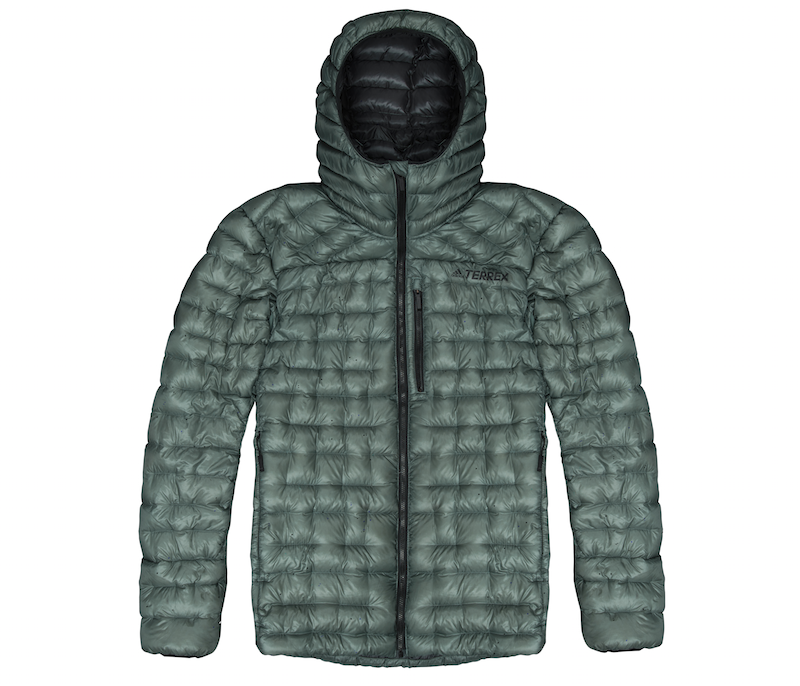 There is no doubt this is an impressive jacket, highly capable of offering all the protection you need for most outdoor activities, but it comes at a price. The £300 price tag of the Terrex Climaheat Jacket puts it at a price point where the big names in extreme adventure equipment rule the roost. However, this jacket has more features than most, so it may just come down to personal preference. I was surprised at how quickly I started to love this jacket. I honestly look forward to putting it on each time I wear it. 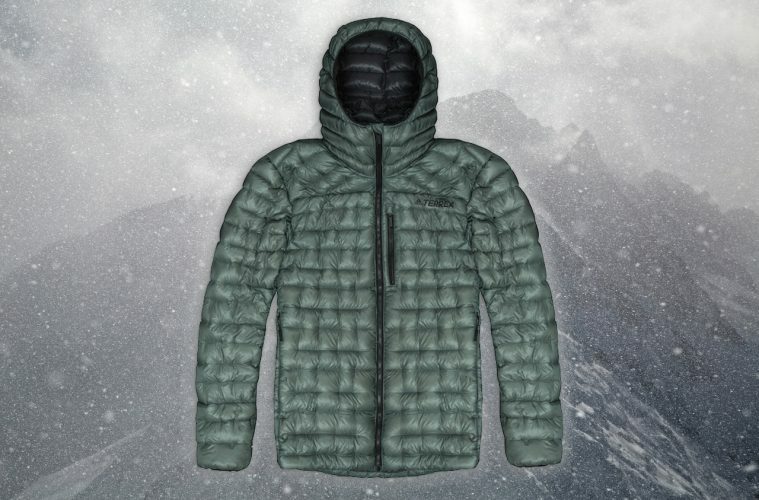 It is incredibly comfortable and it offers exactly what you want from a down jacket – lightweight, packable warmth! 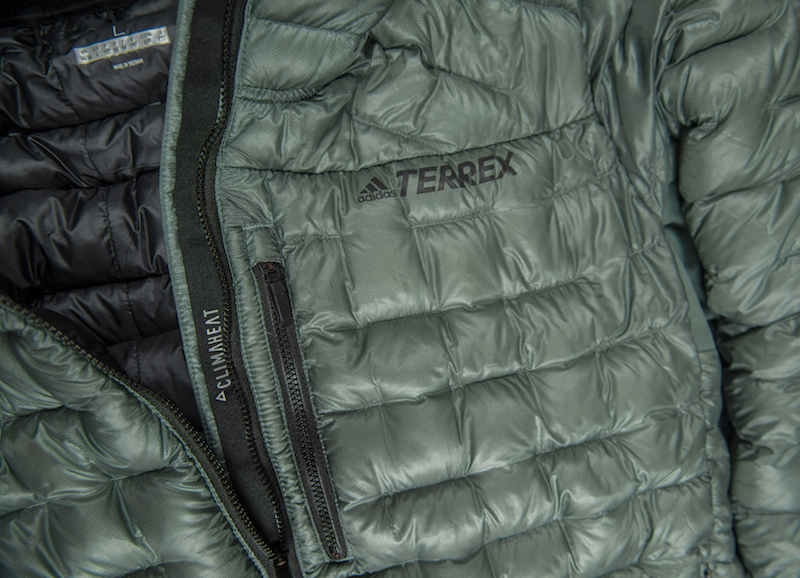 A very well designed, feature rich, down jacket from the Adidas Terrex range. A jacket that will challenge niche brand prejudice within this performance category. Warm, light and extremely comfortable, the only problem for this impressive product might be its price point.